We are the family that won't let you fail. Working out can be intimidating if you're in the wrong environment. At Yeaman Athletics we have created a culture of inclusion, so no matter your age, weight or fitness level you can be sure that you will feel right at home with us! Have you ever looked in the mirror and avoided looking at yourself? Are you ready to make a change for the better, put in the work and experience a true transformation? Want to do that along with other people in a fun and supportive community? Fitness isn't just about picking heavy metal objects up and putting them back down. It's about functional strength and movements you use on a daily basis. By strengthening your core movements and muscles you will reduce your chance of injury, improve your performance at sports and feel better about yourself because you will look amazing! Trying to workout on your own leads to failure for most people because as much as we don't want to admit it, if we don't have someone watching our back and holding us accountable, we'd rather sleep in than get up and go to the gym. With our class structure you will be held to the commitment of class, and with our super supporting and engaged community you won't be able to wait to come back. Discover how much fun meeting your fitness and nutrition goals can be! 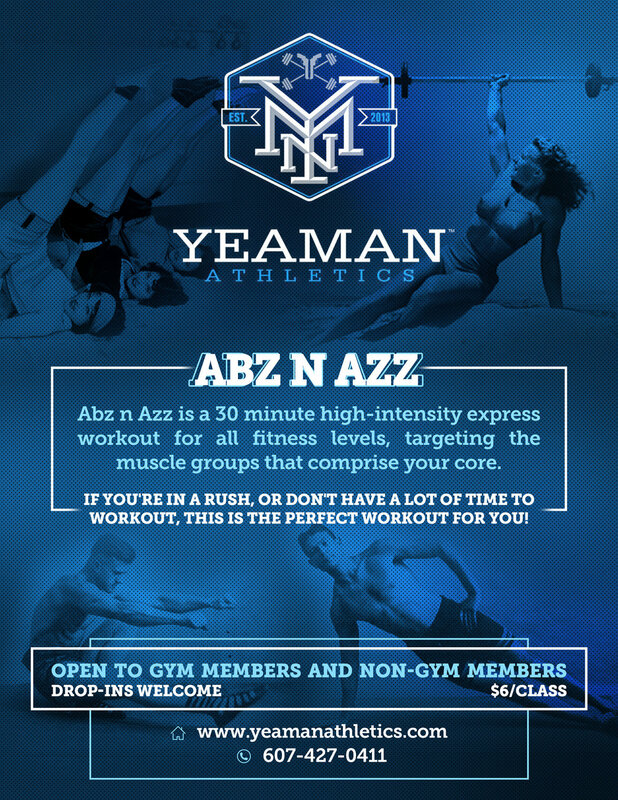 Yeaman Athletics is the best place in the southern tier for your functional fitness training. Here we focus on providing a culture of inclusion so no matter your age, gender, or fitness level you will feel right at home and confident in your ability to complete every workout. Every workout has elements of strength training and conditioning so you come away after every class knowing that you did something great for your body. We have classes 5 days a week in addition to weekly open gym time on Fridays. Click here to check out the class schedule. We are located at 103 Southside Drive, Owego, New York 13827. Joseph Yaman is a certified personal trainer and fitness and martial arts enthusiast. He holds certificates in NASM, Crossfit Level I, Crossfit Gymnastics, USAW Olympic Lifting Level 1, NESTA, Box N Burn Level 1, and has a Blue Belt in Brazilian Jiu Jitsu. He realized his passion for fitness at a young age and he has over 14 years of professional experience as a personal trainer and functional group fitness coach. Joseph has assisted clients with meeting their goals in the NYC area, Washington D.C. area, and now the Southern Tier. Joseph has helped clients to reach goals that may have at one time seemed unattainable such as running their first marathon, being able to do their first pull-up, or fighting in a professional mixed martial arts organization such as the UFC. He is well-known for his creative and innovative fitness programming and his ability to think outside of the box, and be able to come up with a workout on the fly anywhere with little to no equipment. fitness is not a trend or a hobby to joseph, it is a lifestyle that has shaped him into who he is today. Laurel Neira is a full time student and soccer player at East Stroudsburg University and she is majoring in Speech and Language Pathology. She graduated from Owego Free Academy in 2013. Laurel has had a love of soccer since she started at the age of 6 playing for her local boys and girls club and then progressing to travel leagues. She now plays division 2 soccer at East Stroudsburg University as a starting defensive center back. Her accomplishments include 2x Pennsylvania State Athletic Conference champion, 2x all- PSAC 2nd team, NSCAA all-region 2nd and 3rd team, Daktronics all-region 1st team, Daktronics 2nd team all-America, and the D2CCA Atlantic region 2nd team. Aside from soccer she likes to spend time working out, working on her soccer skills and hanging out with friends and family. Her goals are to help improve the athletic ability of athletes all over the southern tier and to push them to the best of their abilities. Amy was a sports enthusiast her whole life, starting TCYSA soccer in kindergarten and then playing all three seasons of HS sports. As a college student she swam intermurals until graduation. In the time since, she has coached TCYSA soccer, modified (girls) volleyball, co Ed modified track and varsity track and field for the Bainbridge Guildford school district. 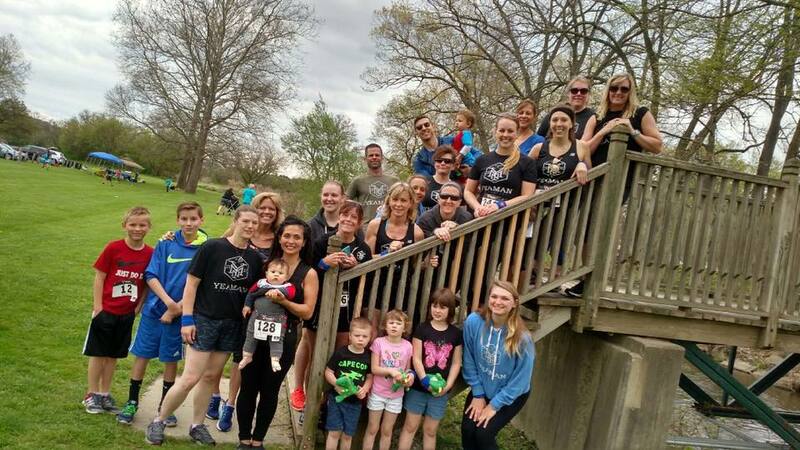 Her spare time athletic pursuits still include running and swimming and she spent ten years playing on Broome county soccer leagues. After 30 years of running she found the YeaMan gym in 2013 and has been a dedicated participant for almost three years. Last summer she started training to co-coach and currently happily coaches the kids classes. First time? Come in and give us a try, the first class is on us! Mixed Methods Strength & Conditioning is the foundation of what Yeaman Athletics was built upon. Mixed Methods S & C is a high intensity fusion of Olympic lifting, power lifting, gymnastics, combat martial arts training, running, rowing, biking, and the list goes on. Each workout is constantly varied with diverse programming and workout programs that have been used for decades, as well as modern influences. In this class you will build a long list of physical attributes including strength, speed, power, endurance, coordination, and balance that will prepare you for any physical endeavor in and outside of the gym. Sweat is a 40-45 minute cardio workout that does not require any previous functional fitness experience. With a focus on Concept 2 Rowers, Rogue Echo Bikes, dumbbell, kettlebell, and body weight movements. Sweat is a great way to get an incredible workout for any fitness level, from beginner to advanced. This class will be caps at 18 people, so you must sign up in ahead of time to reserve a spot!